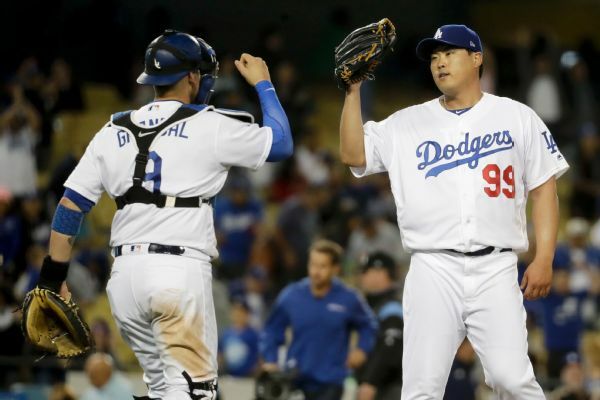 Ryu's early exit from Monday's game against the Cardinals was due to a strained left groin muscle, Bill Plunkett of The Orange County Register reports. 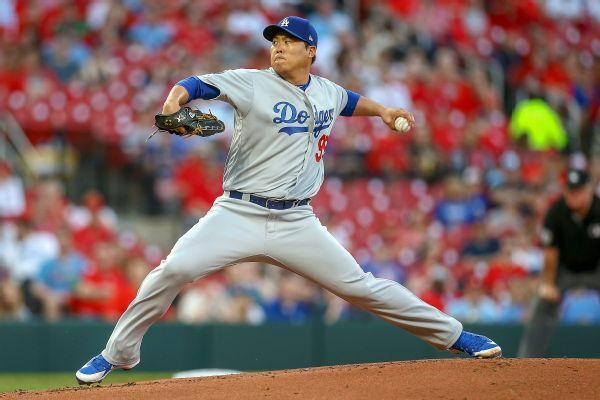 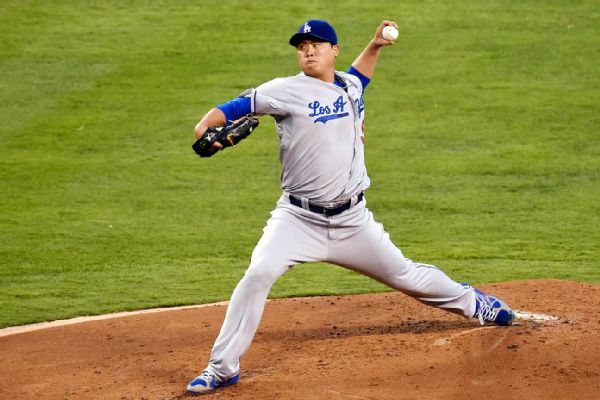 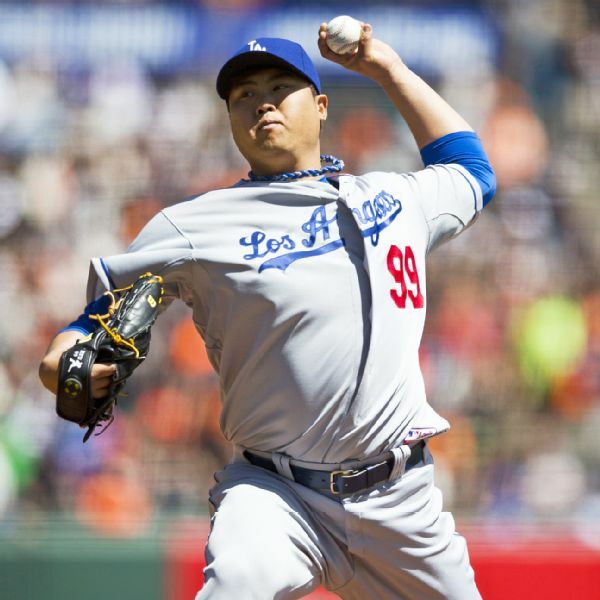 The Dodgers' Hyun-Jin Ryu left in the second inning against the Cardinals on Monday with a left groin strain. 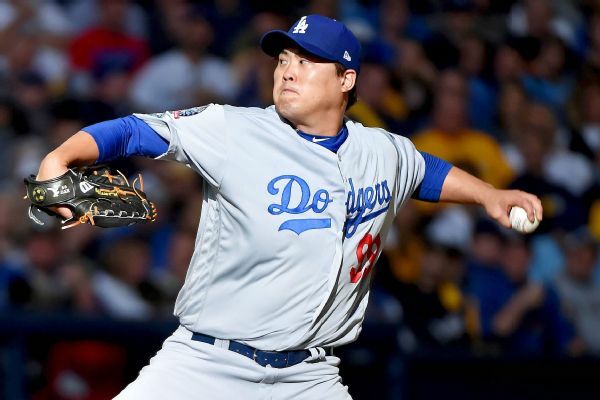 Ryu has been diagnosed with a left groin strain, Jorge Castillo of the Los Angeles Times reports. 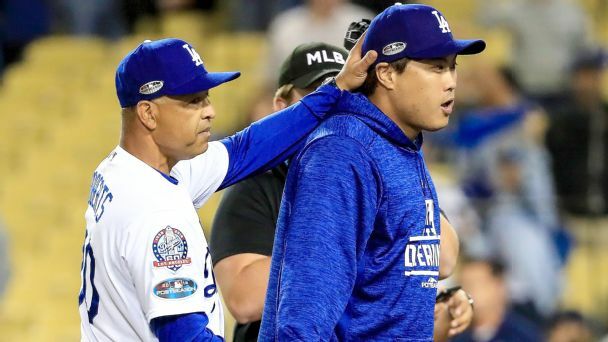 Dave Roberts' decision to use Hyun-Jin Ryu, not Clayton Kershaw, as his Game 1 starter raised some eyebrows, but Ryu delivered in a big way. 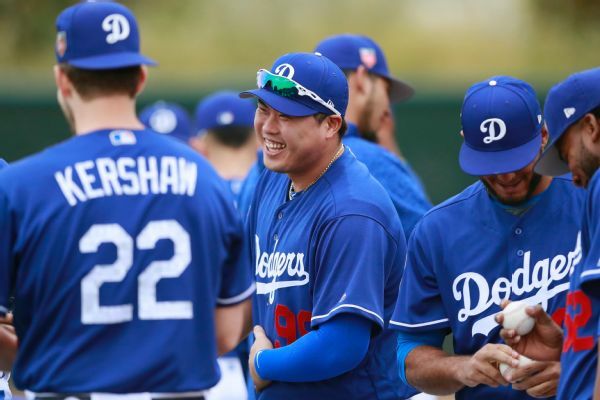 Dodgers manager Dave Roberts said Wednesday that while Clayton Kershaw wanted to start Game 1 of the National League Division Series, he understands why Roberts has chosen to go with Hyun-Jin Ryu on Thursday. 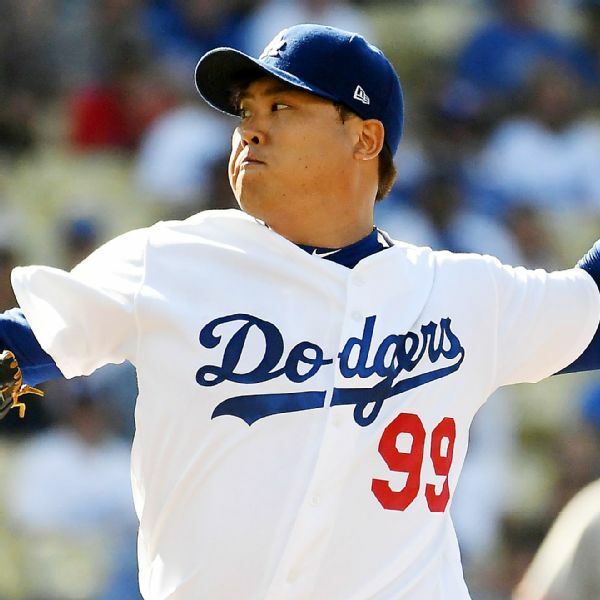 The Dodgers' Hyun-Jin Ryu will be sidelined until after the All-Star break after tearing his groin muscle off his bone in Wednesday's start against the Diamondbacks, manager Dave Roberts said Thursday. 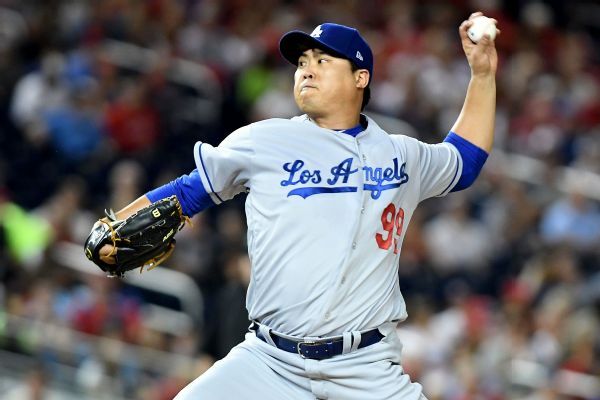 Hyun-Jin Ryu left the Dodgers' win over the Diamondbacks in the second inning Wednesday night with a left groin strain that he said "seems to be worse than the one that I had in the past."